Long-distant journeys with a kayak. After that long portage and falling asleep about 2:30am, it was a late start and some advil. 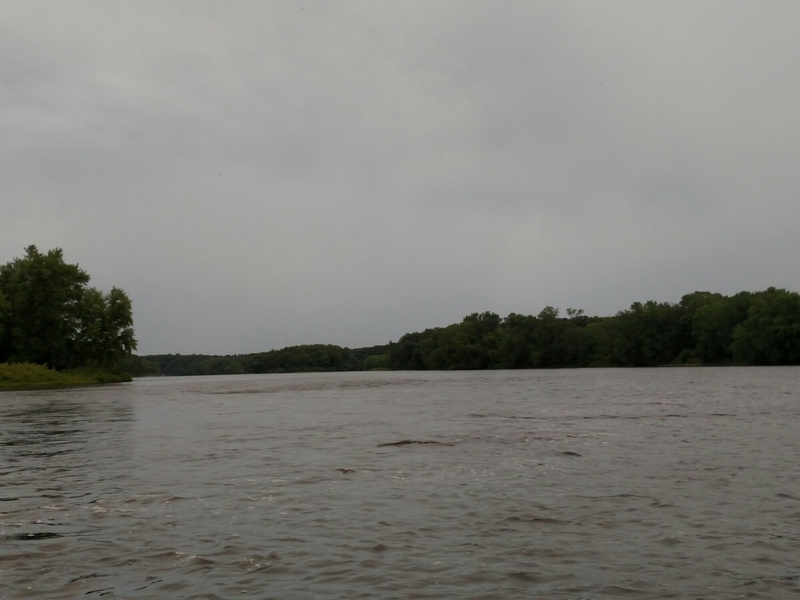 We didn’t make it very far before a thunderstorm rolled in and drove us off the river for a couple of hours. After it passed by, we trailed it watching the most amazing lightning show in front of us. It was quite a sight. I felt a true sense of adventure watching the storm ahead of us. 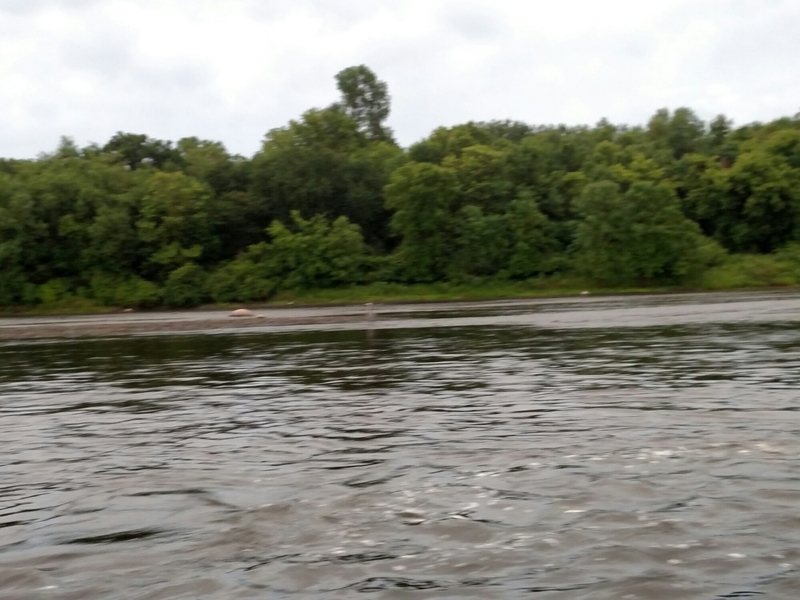 There’s something about being exposed to the elements on a large river that is exciting. Many people say the envy what I’m doing and understand why. At the same time, I paddle past houses and their occupants are sitting around tables with their friends and families laughing And talking and I’m envious. It gets lonely sometimes. I miss the people I love and care about. Most of the time, I don’t hear from them. I meet lots of new people on the river but it’s not the same. No one can replace your kids or your best friends. They have their own lives they’re living and it’s easy to forget about someone. Out of sight, out of mind! Or maybe they don’t really care what I’m doing out on the river. I needed to change my life and this was the best way I could think of. Some people move to other cities or states to make a change, but they still live the same lives, they only changed location. Their lives never changed. I hope my adventures can inspire my kids to chase their dreams and live the life they really want. I also hope it inspires my friend and strangers to go out and do something they’ve always wanted even if it seems too big of a task. Just go do it. Don’t live with regrets. It will kill you faster than any adventure you take on. Cruising past a heron you can’t really see.. Lol! The Adventures of Miss Pink and Baby Blue, on and off the water. In the States, in Nicaragua, and beyond! Our adventures on foot and wheels.